Innovation and change are at the core of every digital transformation project. But without a crystal clear change and governance model, strategic misalignment is a risk that runs rampant – and can wind up severely impacting costs and opportunities. 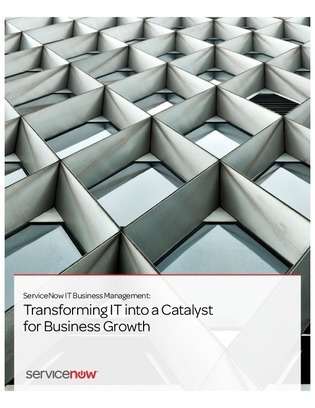 In this white paper, discover how ServiceNow’s Change and Governance framework can help establish a higher degree of change clarity, regulatory compliance, and ultimately increase the visibility and strategic value of the entire change portfolio.